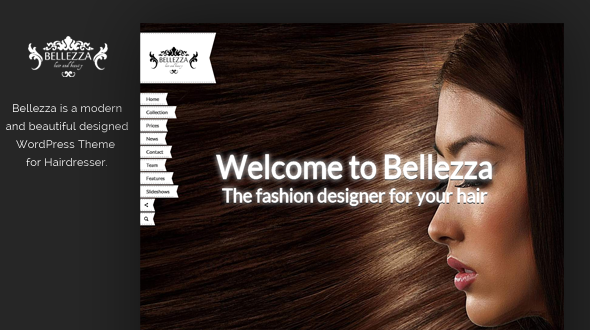 Bellezza is a premium WordPress Theme, suitable for hair salons, beauty salons and hairdresser. It is very easy to setup and use. Designed to suit hairdressers, beauty salons, massage parlours & day spas this site is very flexible and is easy to use with loads of great features. Of course, you can use this theme also for other business. It includes 5 fullscreen slideshows, over 100 shortcodes and 600 webfonts. It has been tested on all major browsers. The theme is tested in all major browsers. If you find an error, please contact us, we will correct the error and update the theme instantly.